The ever trustworthy SD records returns with a massive release from rising Swedish techno star, Van Rivers. If you're a fan of Fever Ray you may recognise that Van was part of the production team for the album and tours with her live band, while techno fiends may also recognise his tracks from the playlists of esteemed figures like Marcel Dettmann and Ryan Elliot. 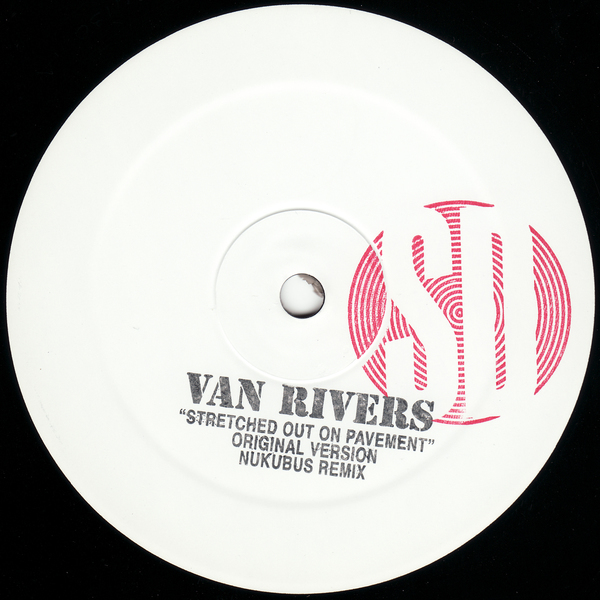 Stretched Out On Pavement' is the sort of deep and trippy techno roller we love in this office, comparable to the likes of Delta Funktionen or Subliminal Kid at their best with an electro-acoustic musician's attention to detail applied to spacious and abstract textures while powerfully groovy basslines carry out the 'floor funktions. Nukubus are hauled for the remix job, contrasting the track with a murky jackers rhythm displaying a darker and more lo-fi approach. Excellent.